Sarah Adams is an experienced litigator whose primary practice involves representing clients in class actions and government investigations. She litigates on behalf of ERISA plan sponsors, fiduciaries, alleged fiduciaries, and service providers facing allegations of ERISA violations and related claims. In particular, Sarah represents defendants in employer stock, affiliated funds, imprudent investment, 401(k) and 403(b) litigation, actuarial malpractice, and church plan putative class action litigation. She devotes a significant portion of her practice to working on behalf of fiduciaries and others involved in employee stock ownership plan (ESOP) litigation and Department of Labor investigations. In addition to her litigation practice, Sarah advises multiemployer plans with respect to funding and restructuring issues, including withdrawal liability issues and compliance with Pension Protection Act requirements. She focuses her efforts on finding solutions for very troubled multiemployer plans, offering them guidance with respect to rehabilitation plans and funding improvement plans. Sarah was instrumental in filing the first petition for modification of benefits under the Multiemployer Pension Reform Act. 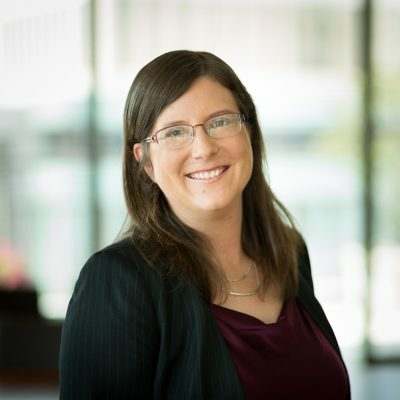 Sarah also advises clients with respect to retiree health issues, including litigating on behalf of a major airline in bankruptcy proceedings. She also represents fiduciaries responsible for administering retiree health plans, providing day-to-day counseling as well as litigating on their behalf when necessary. Sarah is a frequent speaker and writer on recent developments in both the multiemployer plan world and the ERISA class action defense arena. I try to create a roadmap for the judge to rule in favor of my client.